Based on the classic novel by Frances Hodgson Burnett, a favorite of millions all over the world, The Secret Garden is about the healing power of love and the miracle of rebirth. Through the lyrical shimmer of Lucy Simon’s music, conducted here and on Broadway by Michael Kosarin, the score creates a world where lost loves are found, lost lives are saved, spring comes again, and beauty reigns. The year is 1911. Young Mary Lennox, played by the Tony Award®– winning eleven-year-old Daisy Eagan, awakes one morning in India to discover that her parents, and in fact, everyone she knows in the English compound in Bombay, has died of cholera (Opening). With nowhere else to go, she is sent to live with her brooding Uncle Archibald, in his hundred-room mansion in Yorkshire. Accompanying the girl from the train station, Mrs. Medlock, her uncle’s housekeeper, tells Mary that she shouldn’t expect ever to see her uncle – that he is still mourning the death of his beautiful wife, Lily, the sister of Rose, Mary’s mother. Furthermore, she tells Mary, she will have no one to play with, and she will not be allowed to wander the halls. In short, Mary will find her life here to be as gloomy and miserable as the house itself (“The House upon the Hill”). Mary receives this news with stony silence. But she has a strong will and determination, qualities which will change not only her own life, but that of everyone else in the house. With the help of the spirits who are watching over her – Rose, Lily, Mary’s Indian Ayah, and the Fakir – Mary will thwart every one of Mrs. Medlock’s expectations. On her first evening at Misselthwaite, Mary hears an eerie wailing (“I Heard Someone Crying”), but sees only the shadows cast by her uncle as he wanders the halls, listening to what he thinks is the ghost of his dead wife. The next morning Mary meets the irrepressible maid, Martha, who hints there might be something interesting to do outside (“If I Had a Fine White Horse”). Mary is not convinced, but anything seems better than staying in. As if to prove this point, on her way out she encounters her uncle Archibald who seems completely lost, singing and dancing with Lily’s ghost in an empty ballroom (“A Girl in the Valley”). Once she begins to spend her days outside, Mary’s sourness gradually diminishes. She learns from the cantankerous head gardener, Ben Weatherstaff, of a mysterious walled garden (“It’s a Maze”) which has been kept locked since Lily’s death. And she meets Martha’s brother Dickon, a young forest wizard who calls forth the spring in a rock anthem (“Winter’s on the Wing”). Then, accompanied by the pan pipe and dulcimer, Dickon teaches Mary to speak to the ever-chirping Robin in Yorkshire dialect, and the bird, in turn, shows Mary where to find the key to Lily’s garden. But unable to find the garden door, Mary decides somehow to plant the seeds Dickon gave her, and goes to her uncle to ask if she might have “A Bit of Earth”. That simple request triggers powerful memories for Archibald, and as the “Storm” rages outside, Archibald sinks further into the past. Archibald and his brother, Dr. Neville Craven, sing of how Mary reminds them of Lily (“Lily’s Eyes”), and Neville reveals that he also was in love with his brother’s beautiful wife. Later, still disturbed by the persistent wailing at night, Mary enters the forbidden west wing, where she discovers her cousin Colin, a sickly but imperious boy who is confined to his bed and only visited by his father when he is asleep (“Round-Shouldered Man”). They begin to make friends, but are interrupted by Dr. Craven and Mrs. Medlock, and Mary is banished from Colin’s room. As the storm outside intensifies, Mary rushes out of the house, suddenly re-living the cholera epidemic, and feeling more lost than ever. But as Act I ends, the watchful spirits lead her through this nightmare, bringing her finally to the ivy-cloaked door of the secret garden. Act II begins as Mary, asleep, dreams of the perfection the garden promises (“The Girl I Mean To Be”). Everyone she has ever known and loved is alive, gathered together in the garden to celebrate her birthday. But the perfection is not to last. Inside the house, Dr. Craven discovers Archibald packing to leave for Paris, and accuses him of shirking his responsibilities. He insists that Mary is disturbing Colin, and must be sent away to school. The brothers quarrel, triggering the appearance of the spirits of Lily and Rose (Quartet). But Archibald will not be deterred. He says good-bye to the sleeping Colin (“Race You to the Top of the Morning”) and leaves. On the next clear morning, Mary tells Dickon that she has found the garden, but it is dead. It is the most forgotten place she has ever seen. Dickon sings the melodic “Wick” (the Yorkshire word for “alive”) and encourages her to take a closer look. Together, they resolve to bring the garden back to life. Not long after that, Mary tells Colin she has found his mother’s garden, and wants him to see it. When he confesses he is afraid to go outside, Lily’s spirit comes to help him (“Come to My Garden” / “Lift Me Up”). Colin and Mary visit the garden together for the first time at night, and through its magical power, her faith in him, and a Hindu chant she learned from her Fakir and her Ayah in India, Colin overcomes his fear and stands (“Come Spirit, Come Charm”). Then, passionately needing to remain at Misselthwaite to see the garden bloom and Colin regain his strength, Mary refuses to go to the boarding school Dr. Craven has found for her. Martha encourages her to “Hold On” and helps Mary write a letter to her uncle in Paris, asking him to come home (“Letter Song”). Mary’s letter finds Archibald in a very dark moment (“Where In The World”). But the ghost of Lily appears to comfort him, to ask his forgiveness (“How Could I Ever Know”), and lead him back home. There, amid the startling blooms and splendid fragrances of the garden, no longer secret, Colin walks into his father’s arms and proclaims that he is well. 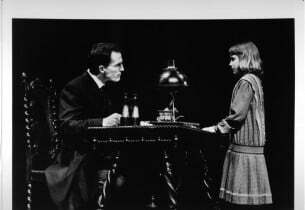 In the final scene, Uncle Archibald welcomes Mary as his own child, and assures her that Misselthwaite Manor is her home now. And then, to thank her for restoring their health and happiness, he gives her the beautiful garden for her own. Then, as the living family comes together, the ghosts, no longer needed, depart one by one (Finale). Frances Hodgson Burnett’s story of Mary Lennox, the young orphaned girl sent to live with her only relative, a widower who lives like a recluse, has been a classic of children’s literature since its publication in 1909. 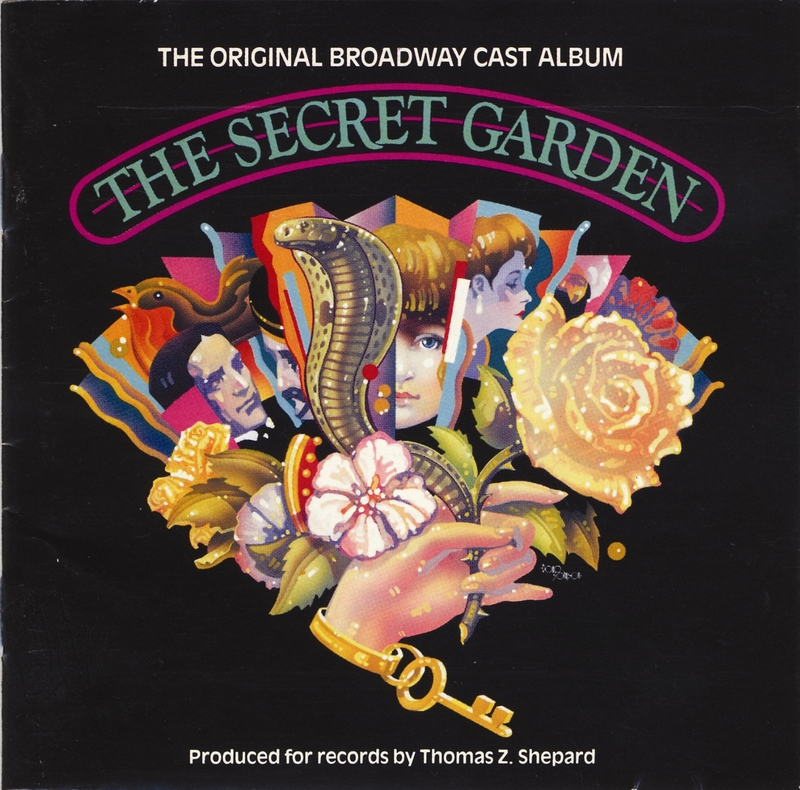 Marsha Norman thought it would make an attractive Broadway musical, and with her book and lyrics set to music by Lucy Simon (sister of Carly), created The Secret Garden. 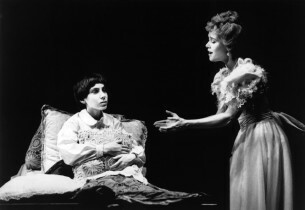 Starring Rebecca Luker, Mandy Patinkin and Daisy Eagan as Mary, and directed with great sensitivity by Susan Schulman, the show opened at the St. James Theatre on April 25, 1991, and went on to win several awards, including three Tonys® and a nomination for Best Musical. It enjoyed a run of 706 performances.